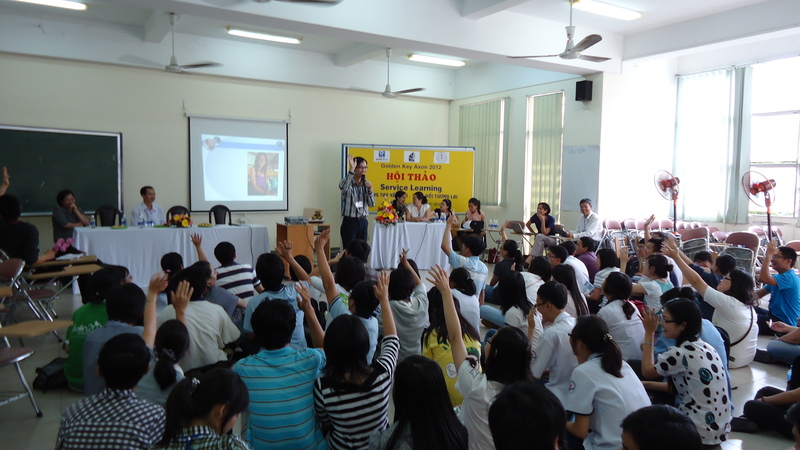 Collaboration between Golden Key chapter leaders at Trinity University in Texas and RMIT satellite campus in Vietnam formed Golden Key AXON 2012– an initiative to introduce and promote service learning in Vietnamese schools. It started with a two-day conference in which high school students brainstormed ideas for their service projects and learned how to plan and implement these ideas. Following the conference, all student groups had one month to execute their projects with the support of college students. The first day of the conference started with an opening ceremony that introduced everyone to service learning. Group activities and team building exercises followed. Then, groups picked one of four pressing social issues to discuss. Students first brainstormed independently on the causes of the problem. This independent thinking allowed students to pull together their knowledge and their personal opinions before discussing with the group where they consolidated their ideas and learned from one another. In the afternoon, guest speakers, including people in non-profit organization and professors, held seminars on environment, education, healthcare and nutrition, lifestyle, vulnerable people (people with disabilities and the less fortunate) and HIV. Everyone then gathered for a seminar on group dynamics. Using the D.I.S.C. personality assessment, the speaker helped students identify their personalities, which helped the students prepare to face the diversity in their group and to respect one another so that they could collaborate effectively as a team. During the last half an hour, students discussed within their groups to come up with project ideas that the group would like to further pursue. The second day of the conference focused on equipping the students with the tools they needed to plan and execute their projects. There were workshops on project planning, project management and fundraising. The students worked throughout the day to finalize their project plan. Then, each group of students presented how they planned to accomplish their desired service objectives. 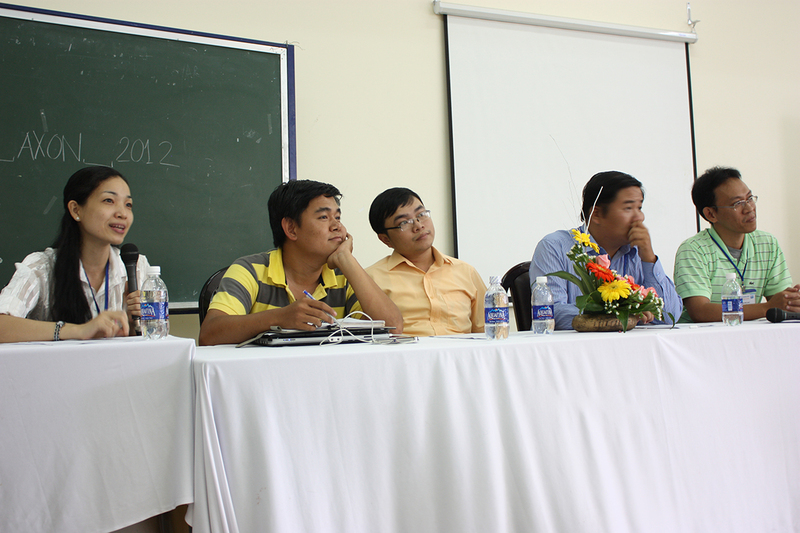 The experts gave comments and ideas for improvements, so that their implementation would be the most successful. The day concluded with six project proposals ready to be implemented in the subsequent month. During that month, the Golden Key AXON 2012 team held several meetings with each group’s leaders to discuss any problems that had arisen and to brainstorm solutions accordingly. They also attended their meetings to see how they worked together to later help them reflect on their teamwork experiences. The goal was to help the student groups deal with challenges and internal conflicts to successfully launch their projects. The six projects made huge impacts on the community. At the end of this one-month period, all the students and mentors gathered at the Closing Banquet to present what actually happened with their projects, how they made an impact and what they learned. 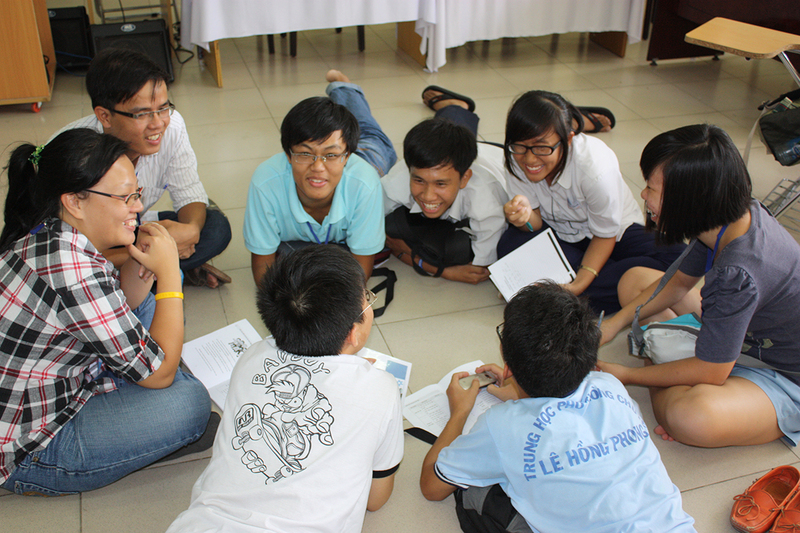 Read a personal reflection from the Golden Key AXON 2012 project leader, Thuy Anh, Ngo in part 2 of our series.